10-Piece Camping Cookset Just $16.99! Down From $70! You are here: Home / Great Deals / Amazon Deals / 10-Piece Camping Cookset Just $16.99! Down From $70! Going for a camping? 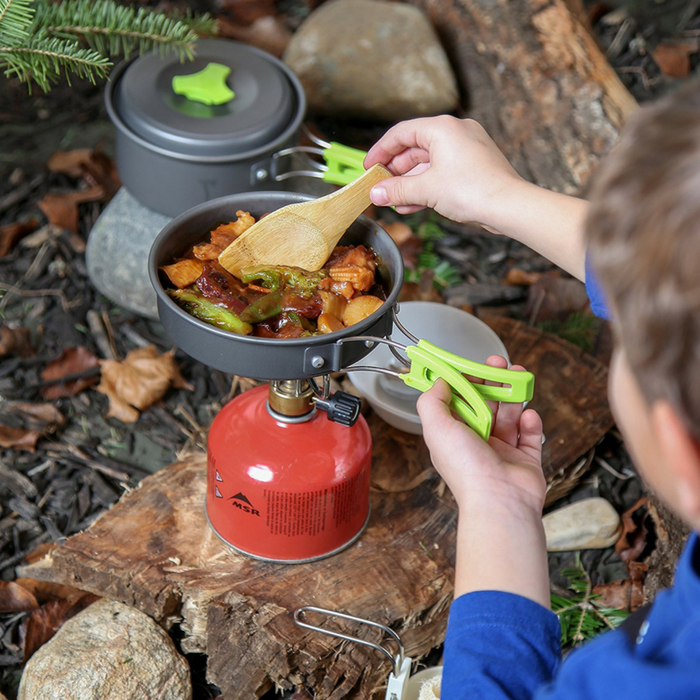 At Amazon, you can score this 10-Piece Camping Cookset for just $16.99 down from $69.95 PLUS FREE shipping with Amazon Prime or for orders $25 or more! When it comes to camping, backpacking, or striking an outdoor adventure, there are certain luxuries that you have to give up to really embrace the journey. Luckily for you, warm, delicious food doesn’t have to be one of them. Introducing the MalloMe 10-Piece Cookware Mess Kit, a compact, portable cooking set that lets you cook piping out meals even when the weather turns south. This versatile cookware set comes with a pot or pan, so serve and enjoy whatever you’ve made in BPA-free bowls with a spork and a spoon! Better yet, it comes with a small wooden spatula so you can flip, season and brown your food to perfection.